This website is provided for information purposes only and while every effort has been made to ensure that information is accurate and up-to-date, KT and cosmetic model treatments (hereafter referred to as ‘KT’) cannot guarantee accuracy and is not responsible for any errors or omissions. KT is not liable for any damages whatsoever in connection with the use of this website. KT is not a hospital or clinical facility and does not diagnose illness or provide medication. Consult your health care provider for advice on health matters. NOTE*Please be aware if you have a history of anaphylaxis shock or have experienced complications previously with any of the treatments provided on the model program you will not be suitable as a model for training courses. By signing up for the KT Training Model Program you are agreeing to the following conditions. 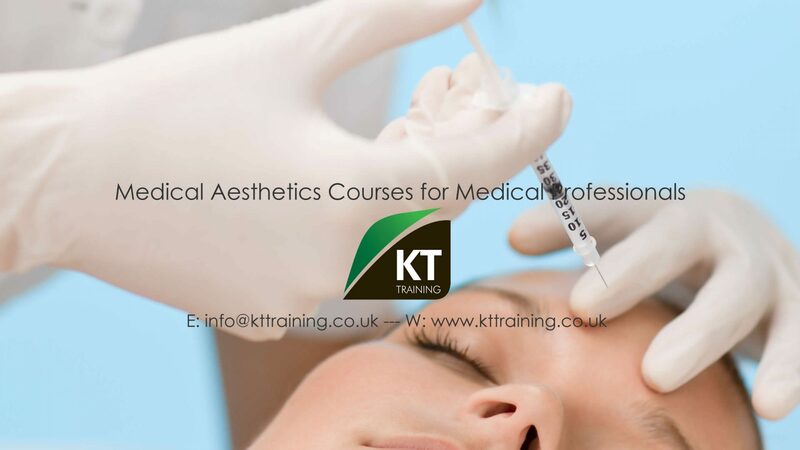 KT is training company for medical professionals who wish to learn cosmetic procedures in a clinic environment you will be treated by a trainee who is supervised by an experienced medical aesthetics practitioner. KT Training only provide appointments for scheduled course dates all appointments must be confirmed before attending any venue. All treatments provided on the day will be based on the indications required for that specific course and date. Please see specific treatment links for botulinum toxins, dermal fillers and chemical peels for the indications required for each course. KT Training select patients based on indication and may refuse treatments if the indications are not suitable for training purposes. I am aware that I am acting as model for the medical aesthetics procedure and I am aware that the individuals who are administering the procedure are being trained and are supervised by the KT trainer. I understand that the practice of medicine and surgery is not an exact science and therefore that no guarantee can be given as to the results of the treatment referred to in this document. I accept and understand that the goal of this treatment is improvement, not perfection, and that there is no guarantee that the anticipated results will be achieved. I understand the appointment times may be delayed due to the training environment. While every effort has been made to ensure that all treatments provided by KT Training are of the highest standard, your decision to undergo treatment (Muscle Relaxant-Botox and Dermal Fillers, Volumisers, Chemical peels,Mesotherapy, dermaroller, etc) is your choice and you have not been enticed or forced to participate in the model program. Accordingly, KT Training shall not be held liable to any person with respect to any loss or damages caused or alleged to be caused directly or indirectly by having treatments provided by KT Training and its Trainers. Before and after photographs will be taken for our records these may be used for training purposes. We can not provide copies of these, if you require before and after photographs it is recommended to take your own photographs for your records. Models must understand we are a training company and any disruption of the class will result in the refusal of treatments. With any injectable treatment there can be potentially side effects and complications you must be aware of these potential complications. Cosmetic treatment model applicants must review all the information provided regarding each procedure and potential problems that can occur. By registering as a models for cosmetic treatment models program you are agreeing to these terms and the conditions set out in the model contract. By attending as a model you are declaring that you have no known allergies, medical conditions or contraindication to the treatments you have requested. You understand that we are not a clinic we are a training company and as a model for these treatments the protocols will differ from a commercial cosmetic practice. Terms and conditions may be updated, please review this page for the updates.